On some occasions after reading a novel, I find my thoughts about it are not clear. Did I enjoy it? Did I completely understand it? Did I think it was powerful or overpowering? This doesn’t happen very often, but these are my thoughts after reading Beloved. The novel, when looked at straightforwardly, is a ghost story. Sethe escaped from slavery with her children, although the plan went wrong. Most of the other escaping slaves were killed or captured, including her husband, and Sethe had to come later, giving birth to her daughter Denver on the way. Sixteen years later, Sethe’s house in Cincinnati, referred to as 124, is haunted. Sethe lives there with Denver, her mother-in-law having died and her sons having left. Denver is a sulky, needy young woman who craves her mother’s attention, but that is all for the ghost of her baby. The action begins when Paul D. arrives. Paul D. had been one of the young male slaves at Sweet Home, where Sethe was a slave. He has been wandering since the war. When he realizes the house is haunted, he drives the ghost out and lives with Sethe as her lover. But Beloved comes back, now embodied as a girl the age she would have been if she’d lived. Denver and then Sethe become enslaved to her. But is Beloved a ghost or just a young girl damaged by slavery? Someone in the text makes a reference to a lost girl enslaved since a child, and I think that’s who Beloved is meant to be. Denver and Sethe have just mistaken her from their own needs. There is only one chapter where we see things from Beloved’s point of view, and it is incoherent. That is what I think, but I was confused because everyone else seems to take the novel as a straight ghost story and of course, an indictment of slavery. I finally ran across a reference to an article by an academic who believes the same thing, but I never found the original paper. In any case, Beloved is an unusual work. It uses an unusual combination of storytelling techniques, some of which I enjoyed and some I did not. It is powerful, depicting emotions and events that we can barely comprehend. Did I like it? I don’t know. Does it make me think? Yes. Do I understand it? Not completely. I have been reading and enjoying Minette Walters’ chilling thrillers and mysteries for years, ever since her spectacularly creepy novel, The Ice House. But The Cellar is something else again. Walters’ vision has become even darker with this short novel, about what happens when a person is abused for too long. The Songolis are an African family living in England. One day their youngest son Abiola disappears, and it takes a while before the family notifies the police. This time is taken up with trying to hide evidence that 15-year-old Muna is a slave who sleeps in the cellar. The family presents Muna to the police as their daughter and tell them she has brain damage and cannot speak English. Muna does speak English, though. She has learned it through watching television and listening to Abiola’s lessons with his English tutor. Her situation improves as the investigation goes on, because the Songolis are afraid to abuse her when a police officer may come to the door at any time. It is quite obvious that the police suspect the father, Ebuka, but for some time we do not learn what happened to Abiola. We do slowly learn that Muna was removed from an orphanage in Africa under false pretences when she was eight. Yetunde Songoli arrived with forged papers showing that she was Muna’s aunt. Ever since then, Muna has worked and slaved for the family. Physically abused by Yetunde and Abiola and sexually abused by Ebuka, she suspects she will soon also be sexually abused by the older son Olubayo. But with this dischord of Abiola’s disappearance already in their midst, Muna finds ways to create uncertainty within the family and drive them apart. This novel is a difficult one to read. I can’t say more without giving too much away, but I can’t imagine a novel being much darker. I actually have to recommend one of Walters’ earlier novels if you haven’t read her yet. The Ice House is an excellent start. 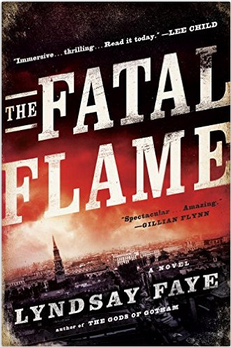 I was sad to learn that The Fatal Flame would be the last book in Lyndsay Faye’s Timothy Wilde series. On the other hand, it is better to wrap up a series than let it go on until it becomes perfunctory. Still, I could have spent a lot more time with Timothy, his erratic brother Val, and his friends. The novels are set in a gritty 1840’s New York City. This one deals with several issues that were controversial at the time: slavery—particularly whether Oregon would join the union as a free or slave state; the development of feminism; and the treatment of the mentally ill.
Timothy Wilde is one of New York’s newly formed Copper Stars, the police force, now two years on the job. At the beginning of the novel, he encounters a few of his colleagues at a wharf, where they are watching Ronan McGlynn. McGlynn is known to offer factory jobs to young, naive Irish women straight off the boats only to forcibly imprison them in brothels. When the men follow McGlynn and his latest victim to the Queen Mab, a brothel, they find there a Tammany Hall boss, Robert Symmes. Timothy finds Symmes despicable, so he is not happy to be assigned to a case involving him later that day. Symmes is receiving threats from someone. He believes that person to be Sally Woods, a woman who used to work in his textile factory and led a strike against it for higher pay for the women. The threats Symmes is receiving are printed flyers promising to burn down the buildings that Symmes owns. Although Timothy is disturbed by Sally Woods, he is still looking for evidence when one of Symmes’ buildings burns down, thankfully with no one in it. Why? Because the inhabitants were warned by another woman, Ellie Abell, who used to be Sally Woods’ best friend. A burning building is a great horror to Timothy, because two years earlier he was severely burned in the great New York fire of 1845. Timothy soon becomes preoccupied by another matter. His great love Mercy Underhill has returned from London (much to my dismay). He is concerned to find that not everything she says makes sense. The fire investigation gets more complicated, but that’s not confusing enough. Something Timothy tells his brother Val about Symmes causes Val to decide to run against Symmes in the upcoming election for alderman. Symmes is a dangerous man who enjoys inflicting pain. Timothy knows that there is danger for all Val’s intimates. This novel is complex, exciting, and interesting. I am waiting to see what Faye will do next. But meanwhile, I’ll miss the Wildes, Bird, Jim, and other characters from this series. 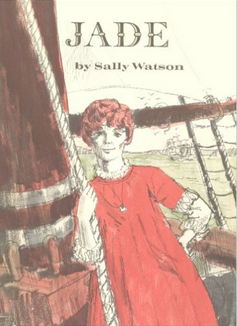 Of the Sally Watson books I rediscovered, Jade is one I haven’t read before. I’ve mentioned that Watson wrote several of her novels around a person from her own ancestry, but it is not clear to me if the outlines of each story are based on family legend or are just invented around the events of the time. This question becomes of special interest in regard to Jade, which is the least likely of Watson’s books to date, even if part of it is based on history. Jade’s real name is Melanie Lennox, but she much prefers her old nickname. She is a rebellious girl completely taken up by her own ideas of right and wrong. She is especially incensed by slavery and women’s lack of rights, which makes early 18th century Williamburg an uncomfortable place for her and for her family, who doesn’t know what to do with her. The last straw for Jade’s father is when he finds she has been sneaking off to meet Monsieur Maupin, an elderly Frenchman, for fencing lessons. Tired of beating her, her father ships her off to Jamaica to live with her aunt and uncle. With her goes her slave Joshua, whom she’s been trying to free since she was 10. In Jamaica, she is disgusted by the slave market and the treatment of field slaves, so her aunt and uncle are surprised when she wants to buy a proud untamed African woman, whom she names Domino. But Jade sees something in Domino that reminds her of herself. In fact, Jade isn’t really getting along any better in Jamaica, but doesn’t stay there long. Jade’s aunt and uncle hear of yellow fever on the island, so they dispatch Jade and her two slaves back to Virginia. They return on the same ship they came on, but this time it is loaded with slaves. Jade decides to try to free the slaves, in which effort she doesn’t realize she’s assisted by the sardonic second mate, Rory McDonald (whose grandmother was Kelpie from Witch of the Glen). I wasn’t quite prepared for what happens next, but maybe I should have been. Their ship is attacked by pirates and she and Rory and some other crew members and the slaves decide to join the pirates. Well, Jade and Rory are taken on board unconscious, but like Elizabeth Swann of Pirates of the Caribbean, Jade at first decides it’s “a pirate’s life for me.” Only later does her view of the life become more nuanced. The novel’s plot is unlikely, even though it is based on the life of the famous pirate, Anne Bonny (spelled Bonney in the novel), whose ship our characters end up on. And Jade is not strictly likable, her character being so full of self-righteousness and so unbending that she can’t tell a polite lie. Also, the novel tends much more to the preachy than those I’ve read so far of Watson’s. 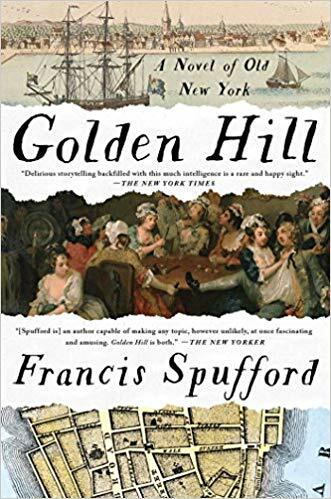 Still, this novel is probably a good one for insights into the abuses of the time, while still providing plenty of adventure. Little feminists in the making will be sympathetic to the restrictions Jade struggles with, such as her dislike of what she must wear, her lack of rights as a woman, and the limits to what she’s allowed to do. I personally think she’s too much of a 20th century girl, but young girls won’t even think of that.